Push ON - push OFF. Red. 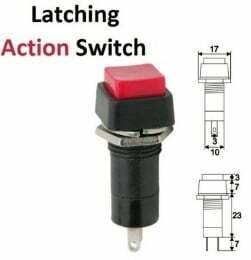 Latch Micro switch. Push on - push off. Red.